East-West Seed, one of the global leaders in seed production is celebrating its 35th year and as part of their celebration, they launched the Innovation Olympics 2017 where student groups are invited to pitch an innovative intervention in vegetable production using technology. Dubbed as the “hackathon” of agriculture, the EWS Innovation Olympics is a competition that challenges the next generation of leaders to develop new technologies to increase productivity of vegetable farmers. After the 2-day boot camp, 8 teams competed at the East-West Seed Innovation Olympics 2017 at REDREC AUDITORIUM, UP Los Banos. Last September 29, these student groups were given an Elevator Pitch of 5 minutes, wherein three groups will be selected and will be given P 150,000 seed money each to carry out their "bright ideas". And after the judges' deliberation, EWS Global teams ad Manager, Simon Jan de Hoop announced the top 5 teams that moved on to the final presentation. These were (1) Light Agritech, (2) Agrissive, (3) i-Agri venture, (4) Team Oppa, and (5) Agriviz. Dr. Mark Relova, EWS Group Head for Learning gave the order of Presentation and Mechanics for the 20-minute presentation. An online platform that hopes to transform smallholder farmers to agri-preneurs. A solar-powered multi-crop dryer for food processing that could provide vegetable farmers an additional income source and cut post-harvest loss. A technological contraption that utilizes different sensors and data to inform the farmer about the details of his vegetable farm through SMS or text messaging. These were the top three innovative ideas that emerged as the big winners in East-West Seed (EWS)Innovation Olympics. Team Agriviz of the the Asian Institute of Management (AIM) wants to create an agricultural e- commerce platform that aims to incorporate data analytics and disseminate information to improve the productivity and profitability of Filipino vegetable farmers. Their e-magsasaka business model converts farmers’ mindset to being market-driven rather than production-driven. 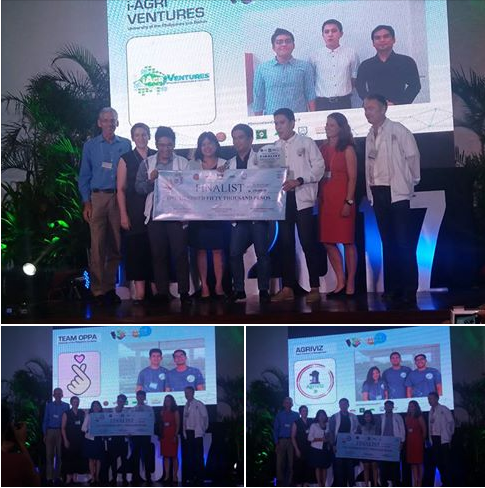 Team i-Agri Ventures of UP Los Banos effectively defended their innovative idea of a “multi-crop dryer” that hopes to significantly increase farmers’ revenue by increasing the market value of thee crop and reducing post-harvest losses. Team Oppa, also of UP Los Banos, came out with a technology that could increase the yield of farmers by as high as 87.5% using the very popular text messaging. Their contraption makes use of the weather, predicting rain pattern and effectively informs the farmers farm information in 30 seconds which normally takes 2-3 hours. 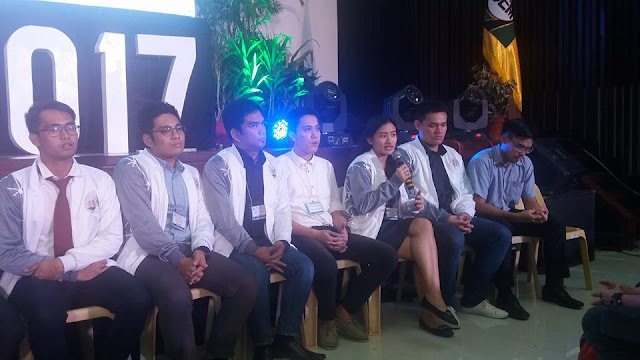 Teams Agriviz, i-Agri Ventures and Oppa bested out seven other student groups who vied for the top 3 positions and the honor of implementing their innovative ideas with an initial seed money of P150,000. For 120 days, they will implement their project in their selected farming community. In January 2018, the team with the project that exemplified entrepreneurial innovation and made the most significant impact in their adopted farming community will be declared as the EWS Innovation Olympics Grand Champion and receive P 250,000 cash prize. “When my father, Dutch seedsman Simon Groot put up East-West Seed with Filipino seed trader, Benito Domingo, in 1982, in a humble 5-hectare lot in Lipa City, they had a common vision-- to help smallholder farmers increase their income by providing high-quality seeds and training them on more productive and sustainable vegetable farming techniques,” said Maaike Groot, Public Affairs Manager of East-West Seed. To date, East-West Seed has trained and enabled 46,782 smallholder farmers on proper vegetable farming techniques. “Farmers represent the 2 nd poorest sector in our country and it is so sad that because of this, our young people shy away from pursuing a career in agriculture. What people do not know is that vegetable farming is a lucrative profession and could be a key for our people to get out of poverty. But we need to address several challenges which we, at East-West Seed, continue to help,” adds Dr. Mary Ann Sayoc, Public Affairs Lead of East-West Seed. The major challenge, Sayoc adds, is that farming practices in the country are outdated and majority of the farmers are yet to adopt modern techniques which makes farming labor intensive and unsustainable. To help in addressing this, East-West Seed launched the pilot run of its Innovation Olympics. It is their mission to provide innovative products and services that will help increase the income of vegetable farmers, and promote the growth and quality of the tropical vegetable industry. “Through the Innovation Olympics, we harness the minds of the youth to come up with their own innovative technological intervention. Students from different multiple backgrounds come up with sustainable solutions to improve productivity in vegetable farming, effectively addressing two major farming concerns: integration of technological innovations to improve vegetable production and to inspire the youth to consider farming as a professional goal and be ambassadors of modern day agriculture,” said Martin Hinlo, Project Lead of Innovation Olympics. 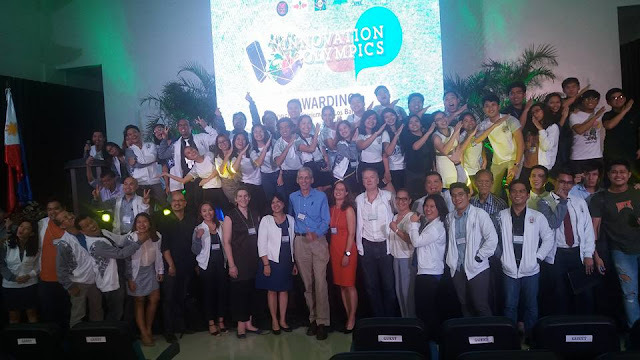 Hinlo added that Innovation Olympics started out as an idea to create a project founded on “learning and innovation,” which is one of the core values of East-West Seed. That “idea” blossomed into a 4-day Innovation Week for the young innovators to perfect their technological ideas under the mentorship of experts and the eventual implementation of these bright ideas in select farming communities. 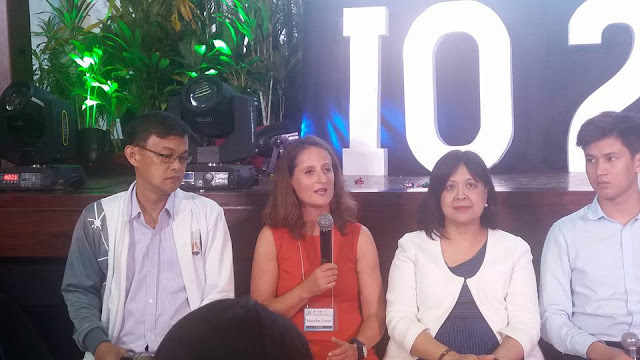 “At the end of the day, this all goes back to how East-West Seed as a company aim and work for the continuous development of vegetable farming in the Philippines, one seed, one farmer at a time,” Hinlo said. If I have to choose from the finalists, I will choose Team Oppa. I like that they used text messaging as their medium since it has been part of our everyday life. I find it very useful to our farmers. Oh, this is nice! My husband's a big fan of agriculture. Very passionate, actually. He has created a small garden outside our apartment in pots. I come from a family whose ancestors are farmers. We're still tilling our own land. I wish we could attend conferences like this in the future so we can continue developing out farms. Gusto ko rin magkaron ng mga tanim kaso walang space sa min, puno ng halaman ni MIL. I planted chili seeds and after a couple of weeks, tumubo pero namatay din :( Nice ang mga ganto to spread awareness and more info about seed planting. This is nice! Sa totoo lang, pakonti na yung mga farmers natin ngayon kaya it is really important na magkaroon ng support. What a nice event to encourage better farming techniques. Our country is an agricultural one but I think our farmers really need more help. Oh this would have been a great event to attend! Especially because my partner is into agri-business. I'm glad there are more opportunities now! I hope all these awesome ideas will be used into reality for the benefit of our farmers and everybody. I am glad that there are more NGOs that are into agriculture and helps small entrepreneurs. I just hope that they will continue to implement this so that there will be an improvement in our agriculture. Glad to know this Team i-Agri Ventures of UP Los Banos for innovations for the Growing Opportunities for Farmers and the Youth.